PlanetSolar, at 102 feet the largest solar boat in the world, anchored Wednesday off Phuket, Thailand, completing another leg on the crew’s planned record-setting circumnavigation. 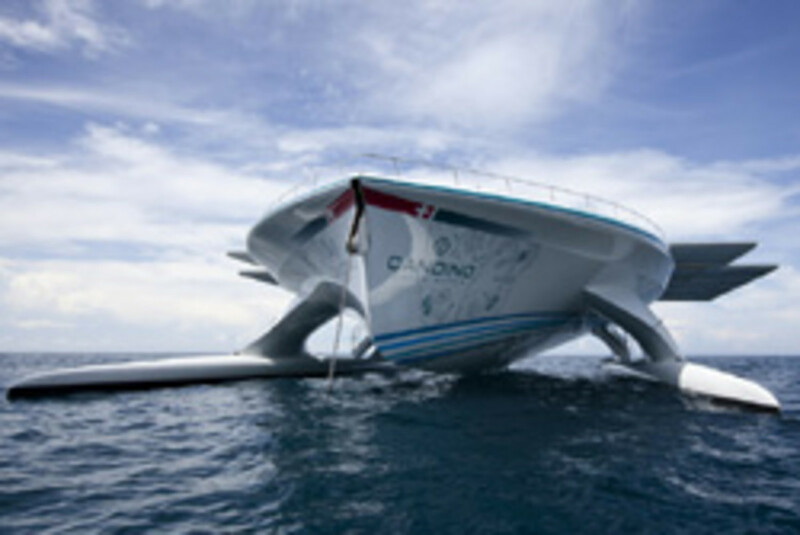 The boat is covered in nearly 5,400 square feet of solar panels, connected to two electric motors in each of its twin hulls. Click here for the crew’s latest log and click here for a photo gallery of the boat and its arrival.